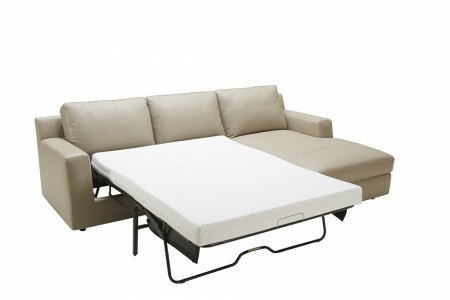 Jenny sofa bed sectional is all in one room solution that you can use day and night. 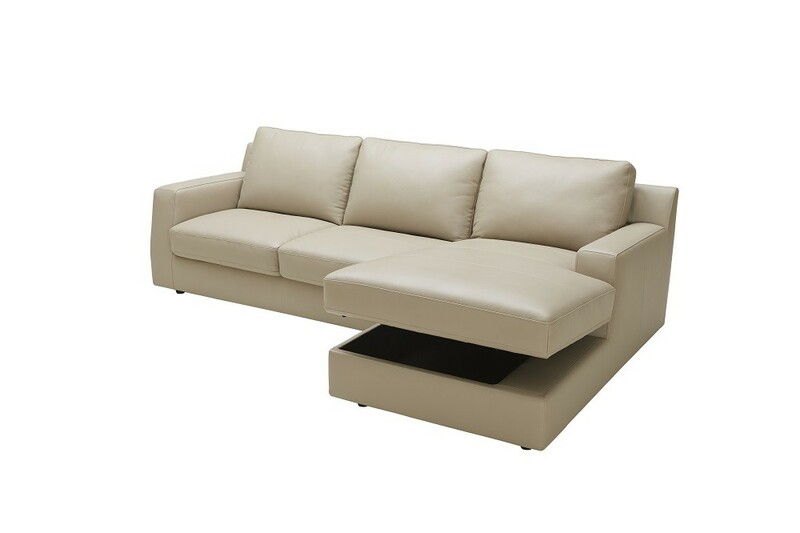 Upholstered in beige color full genuine Italian leather all around. 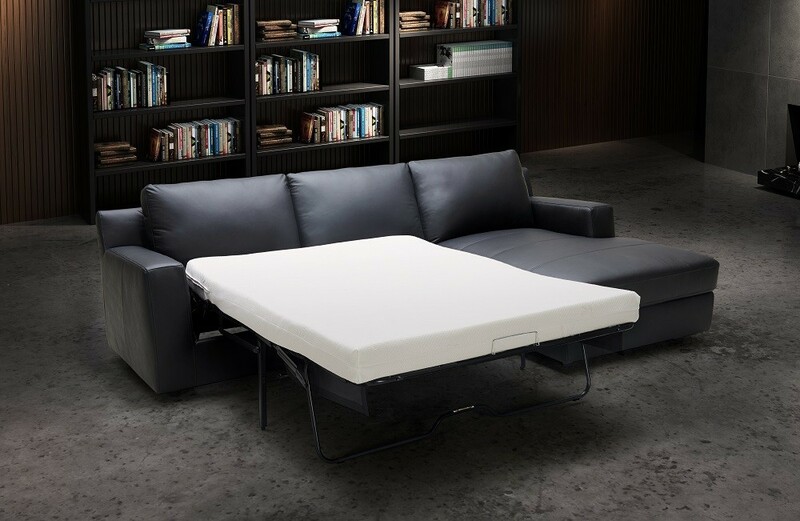 Opens into a sofa bed and includes luxury mattress. 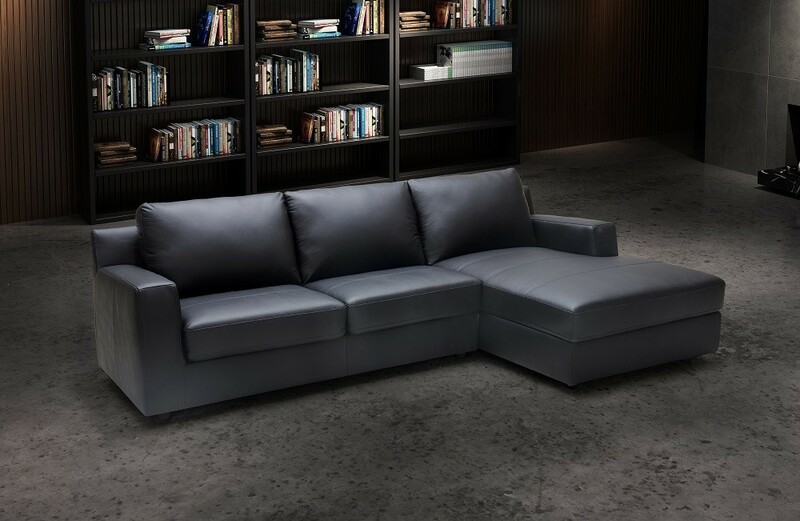 Chaise is available on the right or left side and has storage inside. 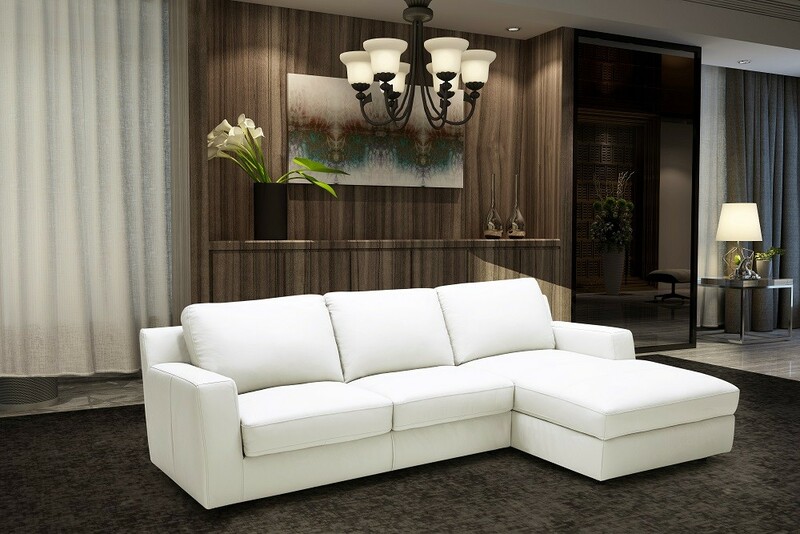 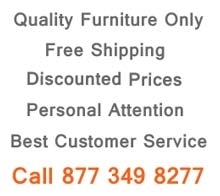 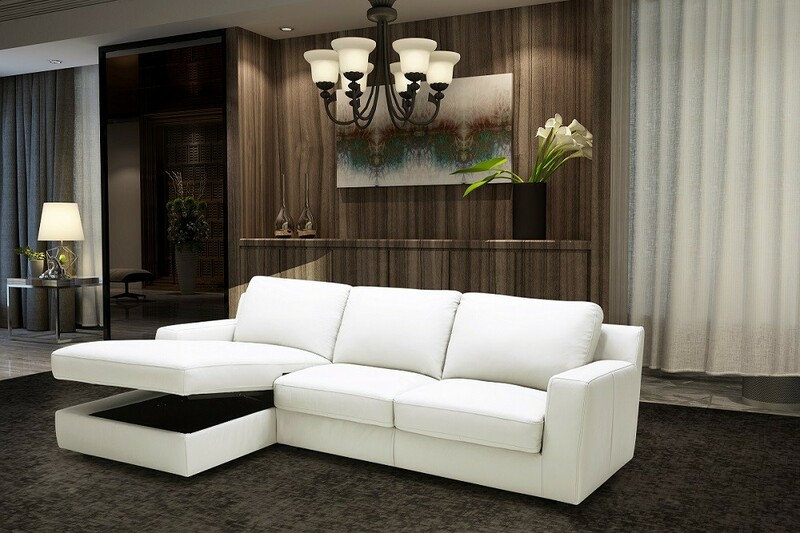 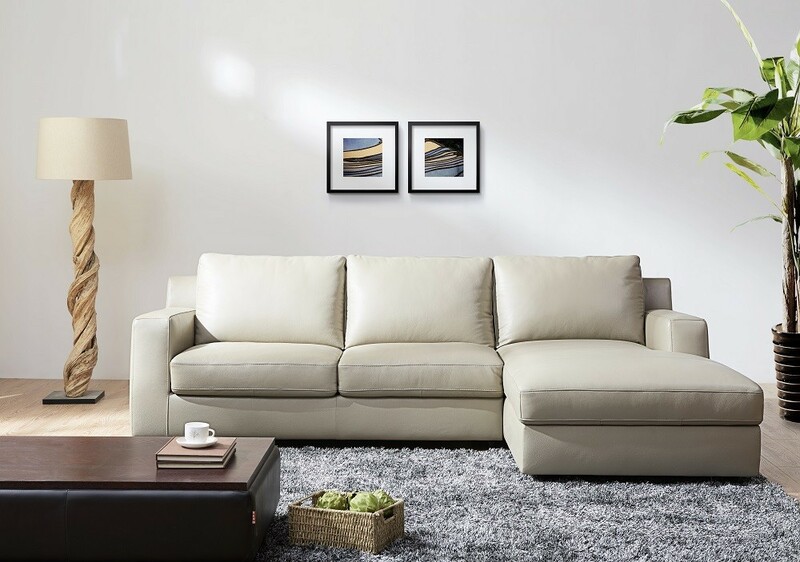 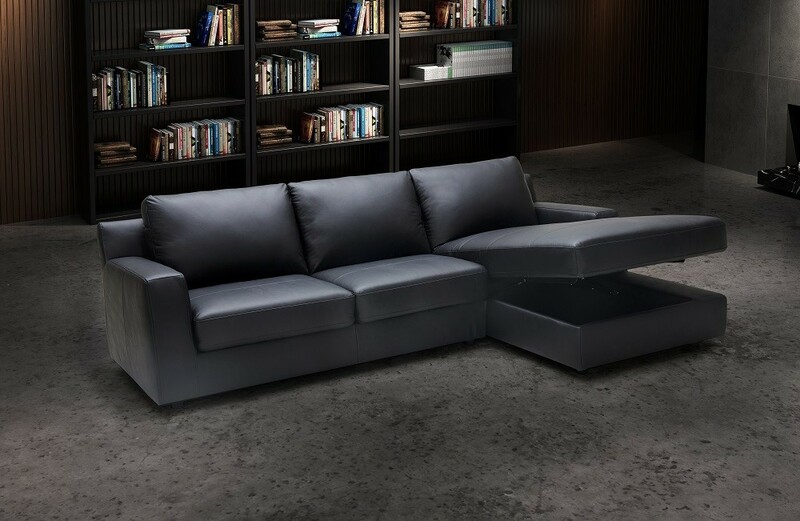 Minimalist contemporary style with comfortable seating and convenient options.